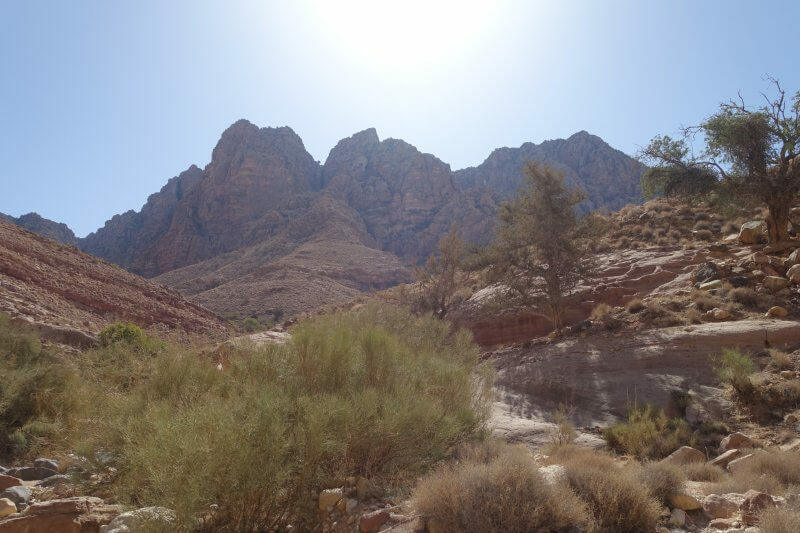 After Aqaba, I headed to Wadi Dana in search of spectacular mountains and a little more greenery. Dana did not disappoint, and it was unlike anything I’ve seen. 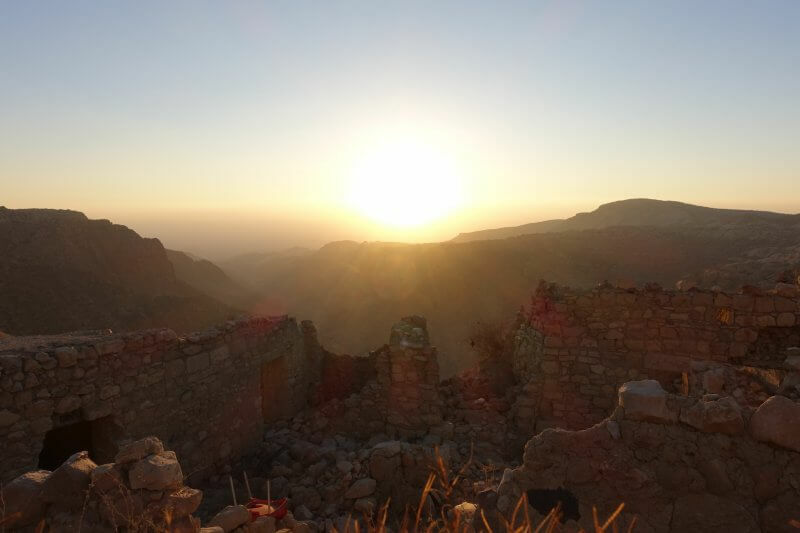 If you’re looking for day hikes you can do on your own in Jordan, you definitely have to check this out. 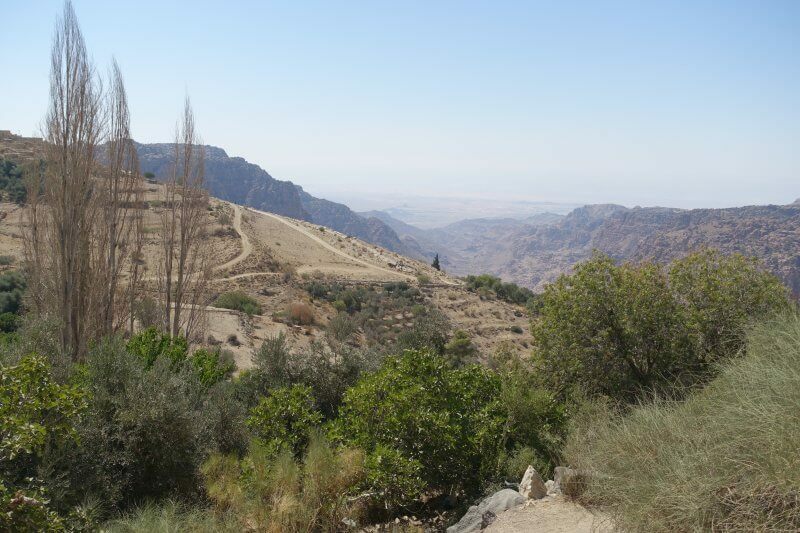 Dana Biosphere Reserve is the largest nature reserve in Jordan. 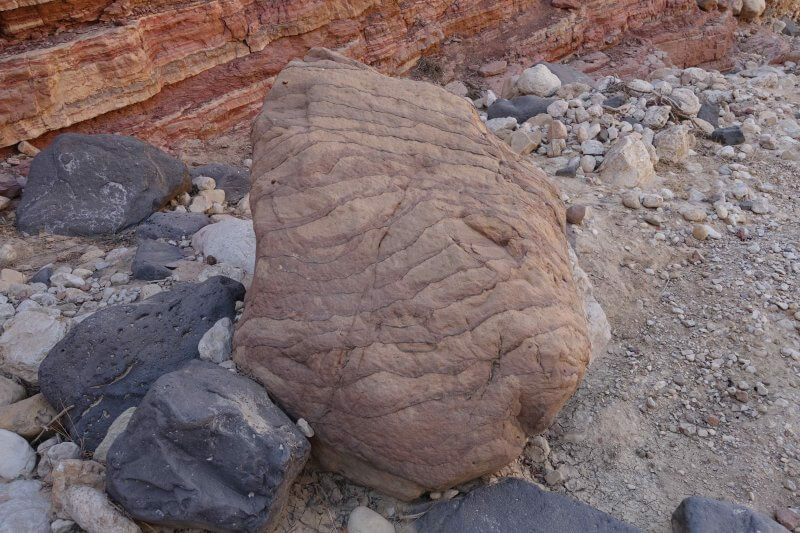 Within the reserve you’ll be able to find spectacular geological features owing to tectonic shifts millions of years ago. There is also a wide variety of plant and animal life here, with species from Europe, Africa and Asia. 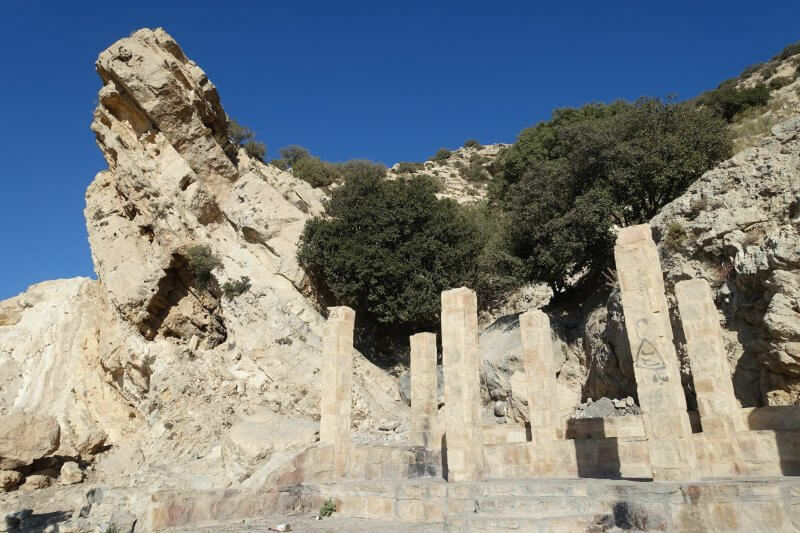 Apart from biodiversity, the Dana Biosphere Reserve is a region of great historical significance, as Dana Village, within the reserve, has been inhabited by different tribes for thousands of years. 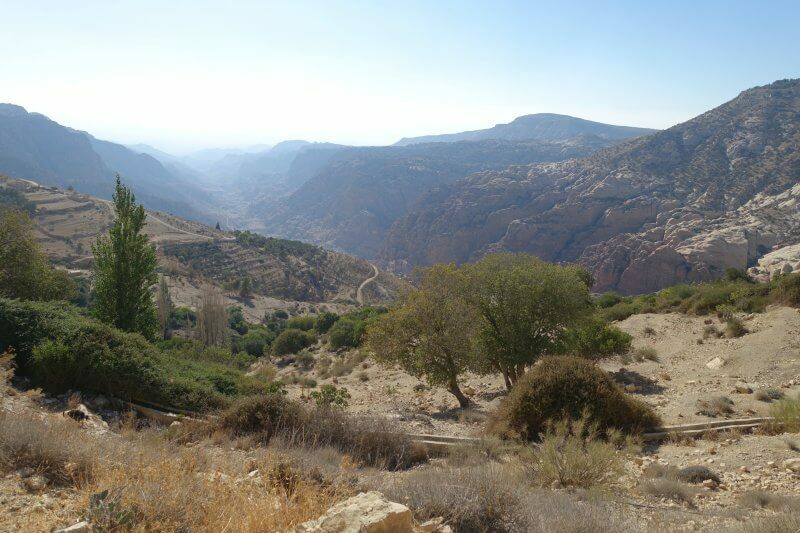 As I had recently developed an interest for self guided day hikes, I found Dana to be a perfect candidate to check out during my trip to Jordan in 2017. Here’s how it went! At the end of Dana Village. 1. Take the bus towards Tafilah, asking to stop at Al-Qadisiya. From Aqaba this service runs till midday, according to the hotel I stayed in. 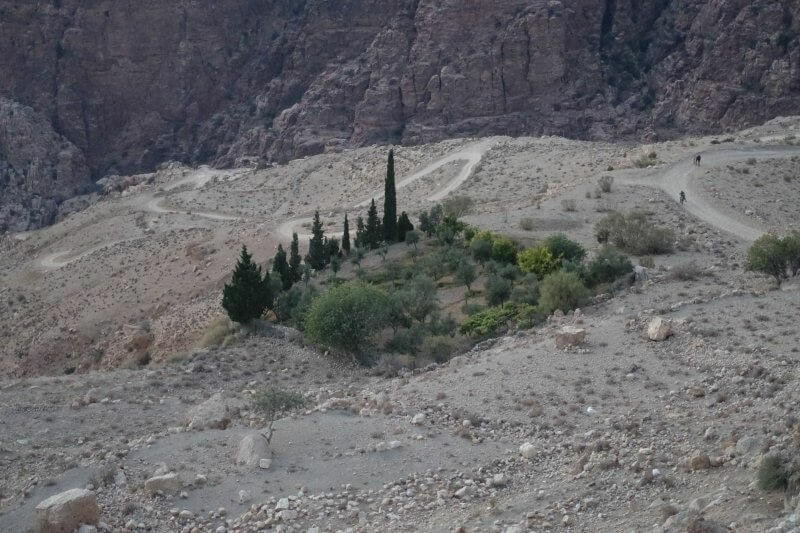 From Al-Qadisiya it is about 3-4km to Dana, which you can either walk, hitchhike, or call your hotel to pick you up. Dana Tower Hotel offered to do the pickup but as I was on a taxi I didn’t need it. 3. Hitchhike. 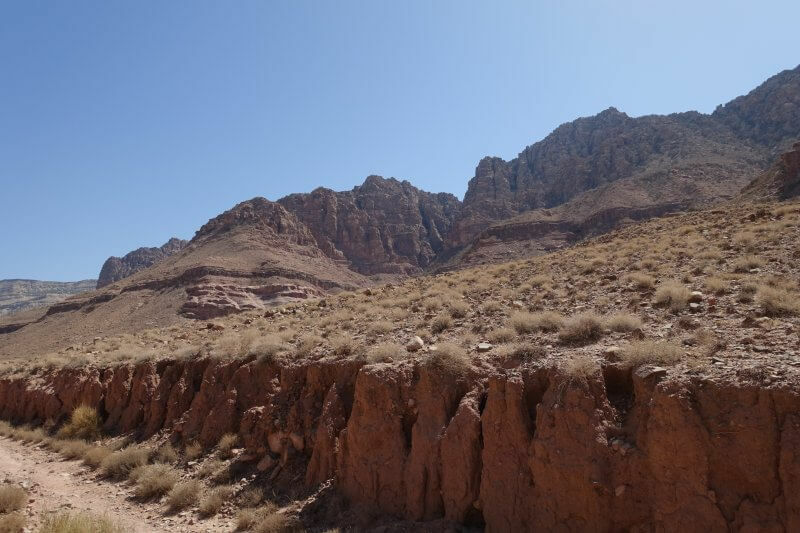 Hitchhiking is common in Jordan and even if you don’t stick out your thumb some drivers may stop and offer a lift. If that happens to be a private hire/ taxi/ minibus they are likely to ask for payment but if other cases just enjoy the ride. 4. Take a taxi. 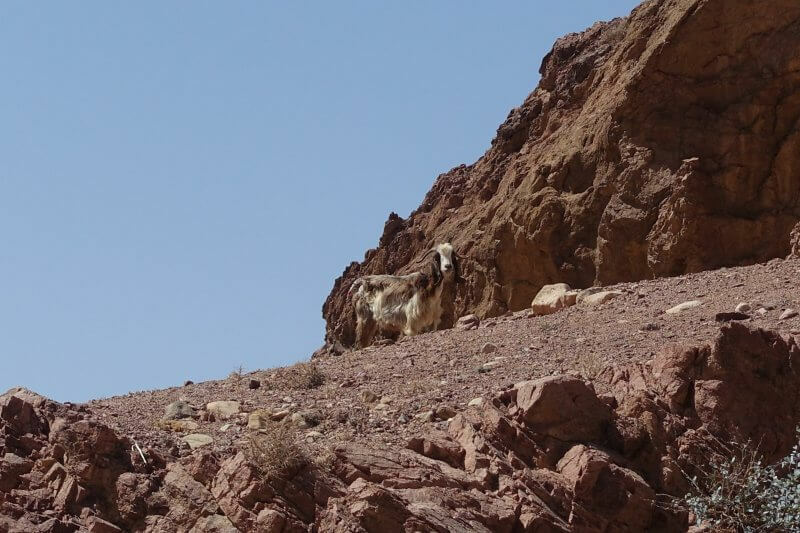 The price I was quoted was around 40-50JOD from Aqaba. From Ma’an it was 25JD. Please let me know if there’s a better estimated of the price. 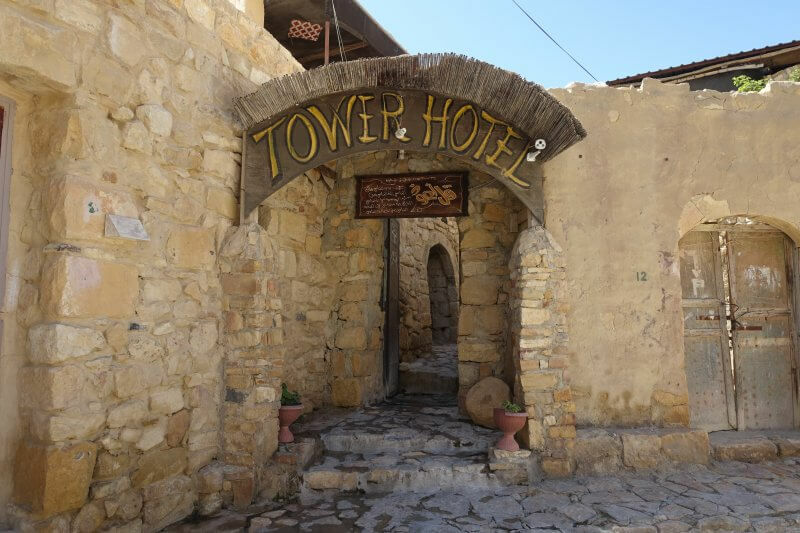 I had booked a room at Dana Tower Hotel (~12 JD a night for a single room with shared toilet, including taxes), at the end of Dana Village, on the edge of Wadi Dana. It is built around old stone houses with a unique medieval feel. 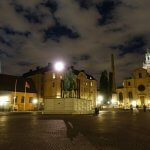 It isn’t one of those places which preserve the outside but change the interiors totally. The hotel was built around the existing stone houses, resulting in mix-mash of rooms all over the place in all shapes and sizes, giving it quite the flavour. 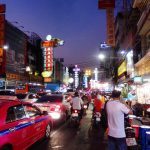 Nabil, the owner, looked exactly in the right place as the big boss, behind the desk in the dimly lit office, filling his chair and leaning back, counting cash, giving orders calmly, and looking like he knew almost everything and everyone around. 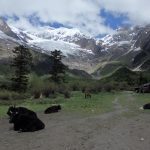 He suggested a simple hike just off the village that would take an hour or two, that would pass some of the vegetable plots and landmarks around the village. And off I went. 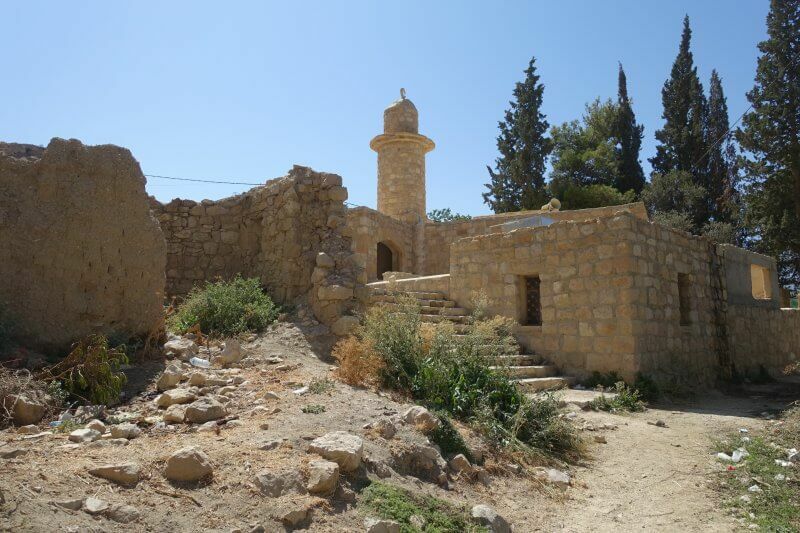 From the village, the trail starts from a little path beside the mosque. The path is a little tight and dark as you pass some houses at the start but soon the view opens up. 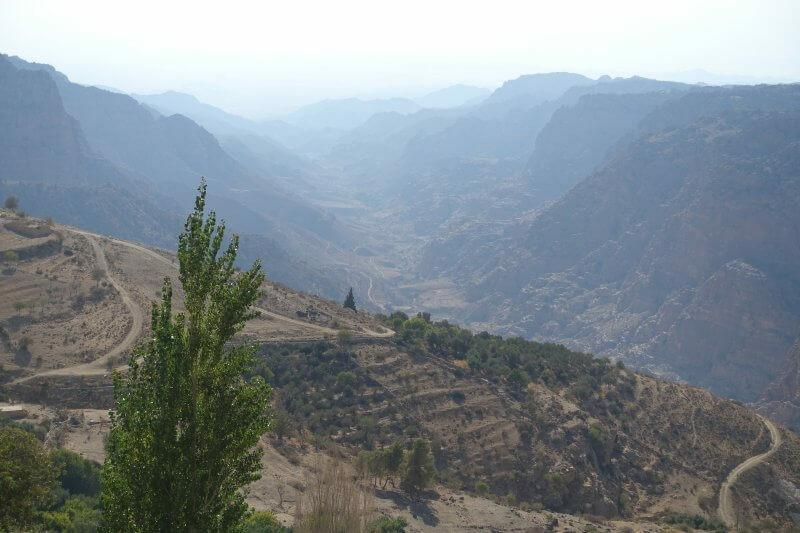 Marvel at the changing landscape and biodiversity at different levels of the valley. The path at the start is relatively easy to follow. Along the way I met a man who was down in the valley picking pomegranates. There was only one way along the path and a perfect way to make new friends (or endure an awkward silence on that stretch). He showed me the big bag of pomegranates he intended to sell at back at his village and shared one with me. Fruits never get as fresh as this back in the city. Soon we reached where the path split, and as we were heading in different directions, parted ways. So beyond this point is actually me back on the trail on the second day, having too much time to spare. I lost the trail at some point on the first day and decided to turn back. On my second attempt when I came to the same point I decided to just bash straight upwards as I knew there was a road somewhere there. Halfway bashing up the sparse vegetation and loose rocks. At the top, there was some sort of half built water fountain at the top where water constantly flowed from, down to the village below. Looked like a nice resting spot. The half built water fountain. 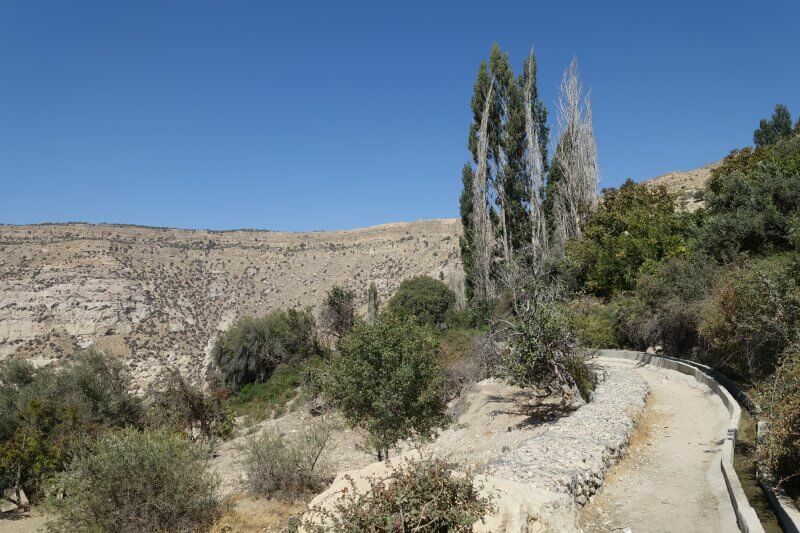 Upon reaching the road, turning right leads straight back to the village. There was a standalone building along the deserted road where a couple of young men were on the roof having shishas and what looked to be a barbecue. Asians don’t tend to frequent this part of Jordan and they looked surprised to see me. I couldn’t make out what they were saying, so I waved, smiled, and left. Back in the village, I decided to check out the Ottoman era ruins around the village. 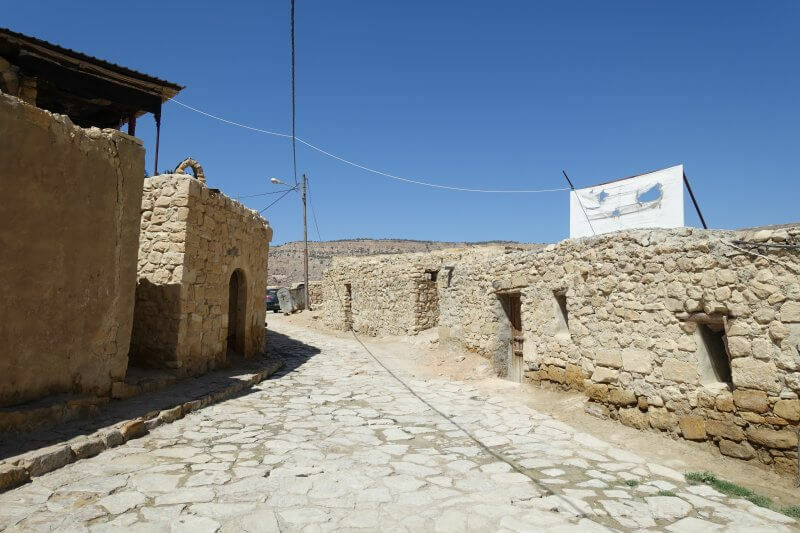 While many of the old stone houses are now occupied in some way or another, there is a part between Dana Village and Dana Guesthouse which remains relatively untouched. 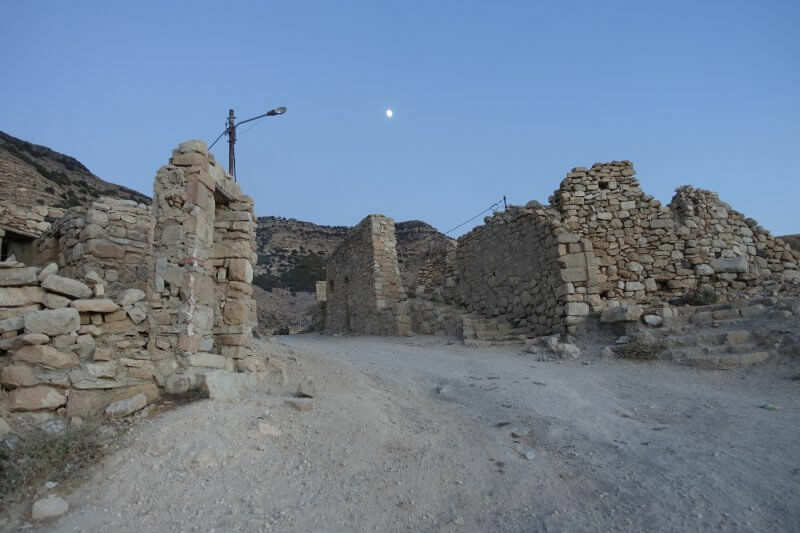 Ottoman era ruins in Dana Village. From the ruins down to the trail at the bottom of the valley. 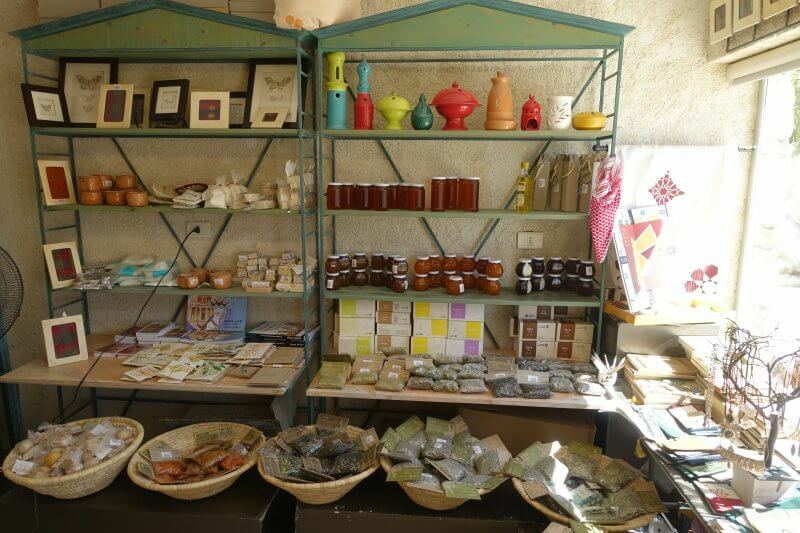 The gift shop where you can buy products to support local communities and eco-tourism. Last thing to do at Dana Guesthouse? 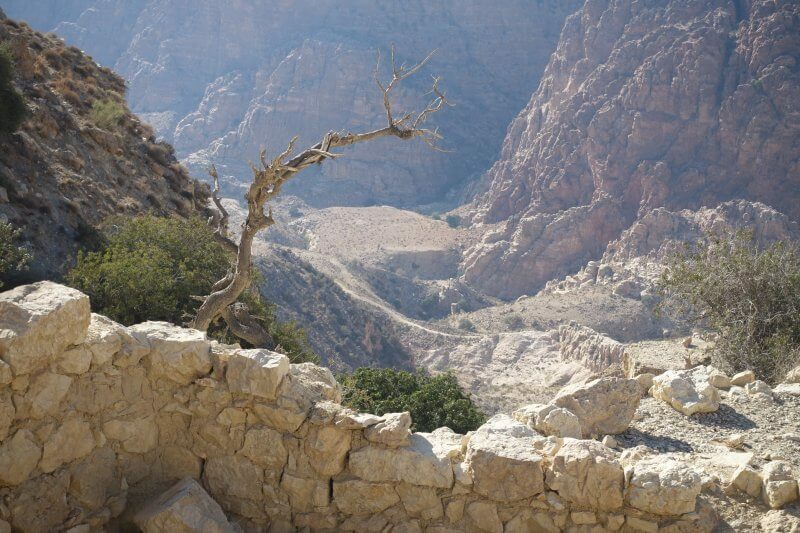 Catch the unblocked view of Wadi Dana from the viewing area beside the gift shop. If you can make out the trail snaking down the valley and all the way to the end, that’s what’s next. Back at Dana Tower Hotel, I found a spot on the roof of one of the abandoned houses. Didn’t looked strong but comfortable enough for a sunset. 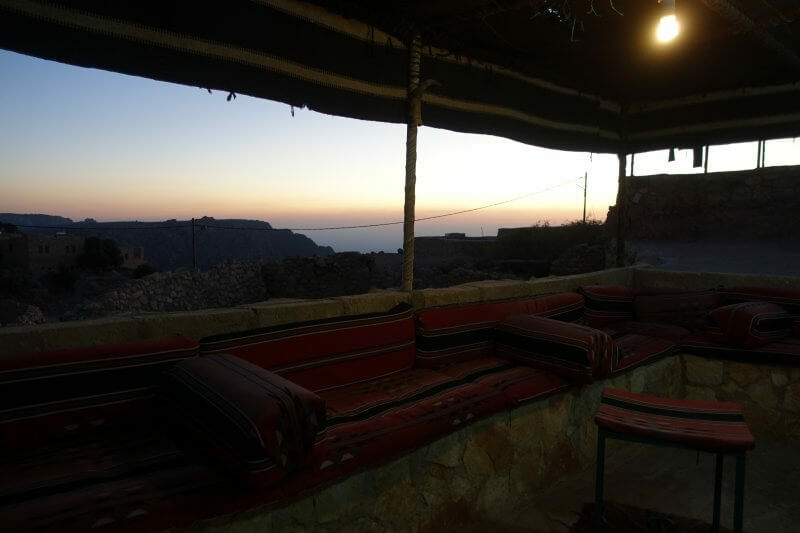 Back at the hotel, dinner was not ready yet, so I had some lounging on the roof seating area, enjoying the changing colours of the setting sun and chatting with other travelers who had made the trip here. No one had the same plans, but everyone was excited. Rooftop seating area at Dana Tower Hotel. As there aren’t many food options in the village after dark, I went with the dinner option at the hotel. For 7 JD, the spread was amazing. I couldn’t name any of the dishes beyond their ingredients but it is the rare occasion where I thought everything tasted great. 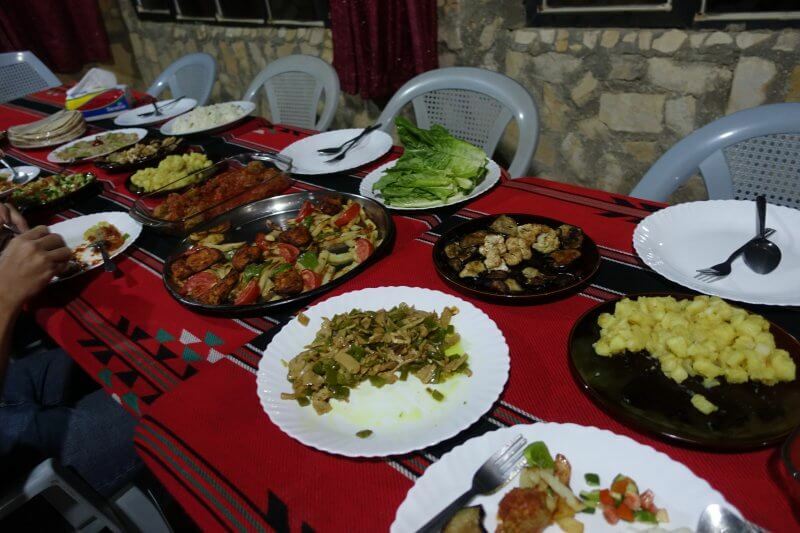 More than having a delicious spread waiting for you after a long day’s hike, the dinner is also a good opportunity to meet other travelers and exchange tales. Dinner spread at Dana Tower Hotel. 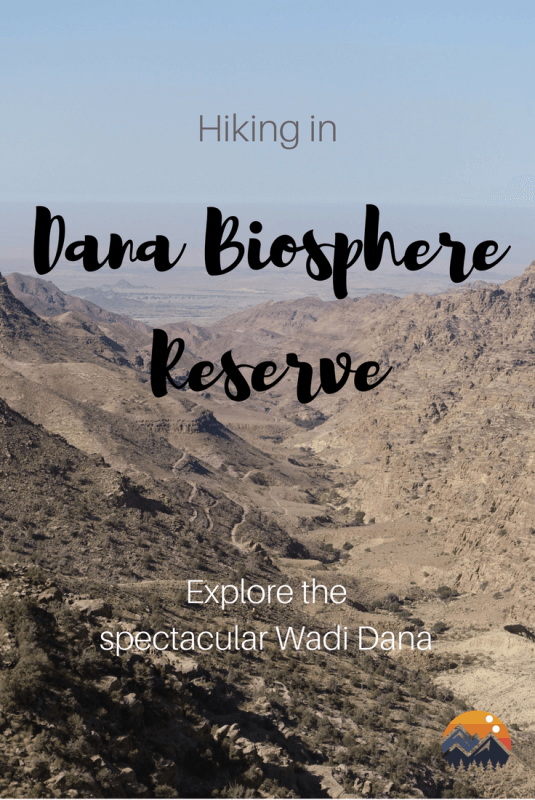 Time for the highlight of Dana Biosphere Reserve! 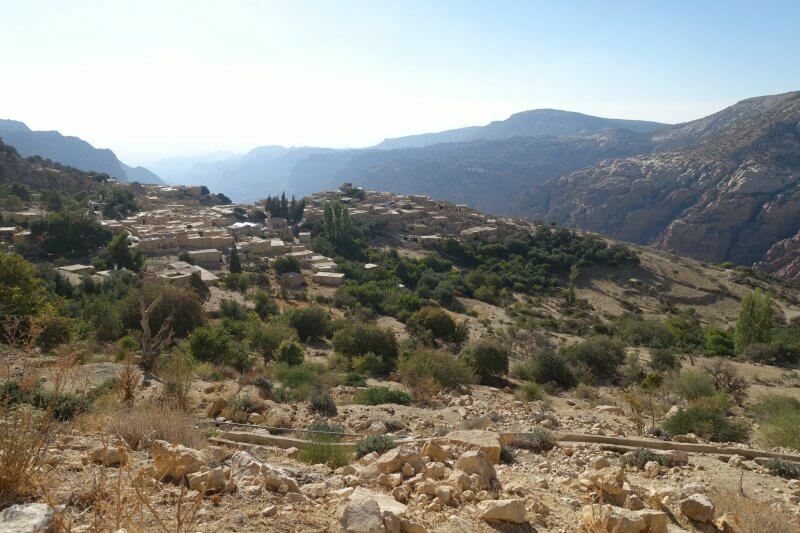 My second day at Dana was spent visiting Shobak castle, about 20km away. 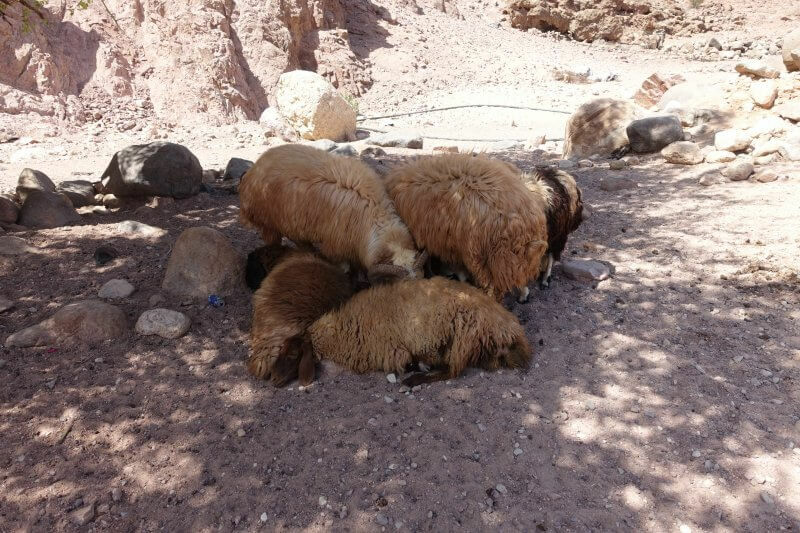 At Shobak, I was fortunate to have met a woman who intended to do the Wadi Dana Trail the next day too, and so we met in the morning and set off together. 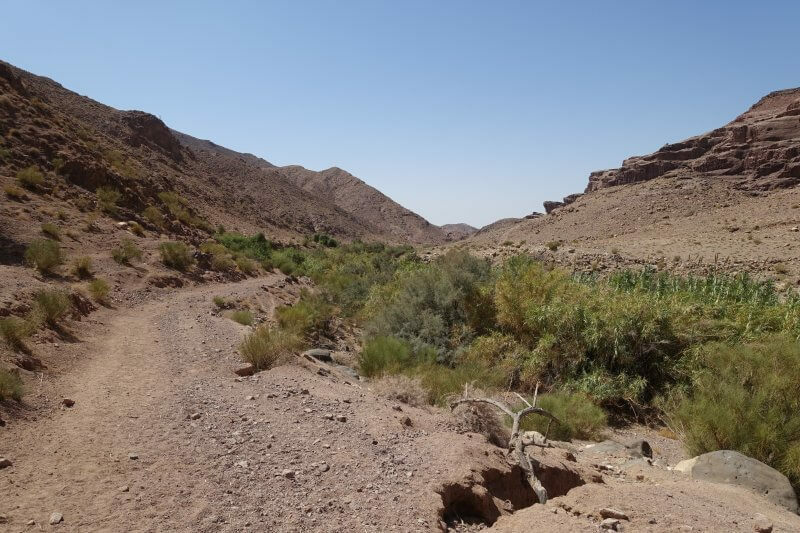 The Wadi Dana Trail is straightforward and it is difficult to get lost. 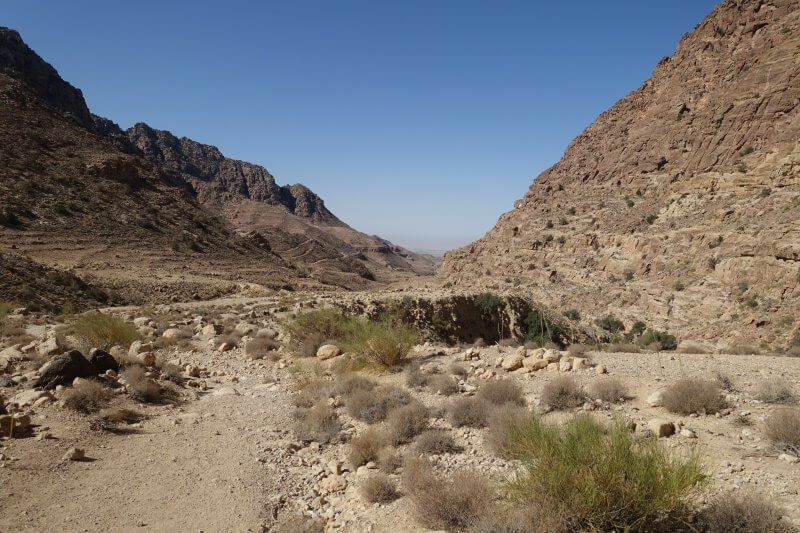 Just follow the valley from Dana Village till the end of Wadi Dana where you’ll find Feynan Lodge, the end of the trail. Getting a good look at the trail ahead. 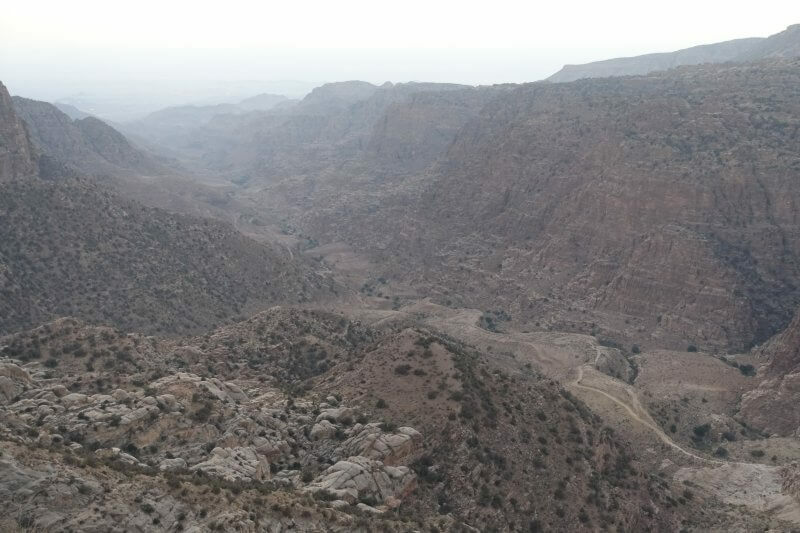 The towering cliffs of Wadi Dana. 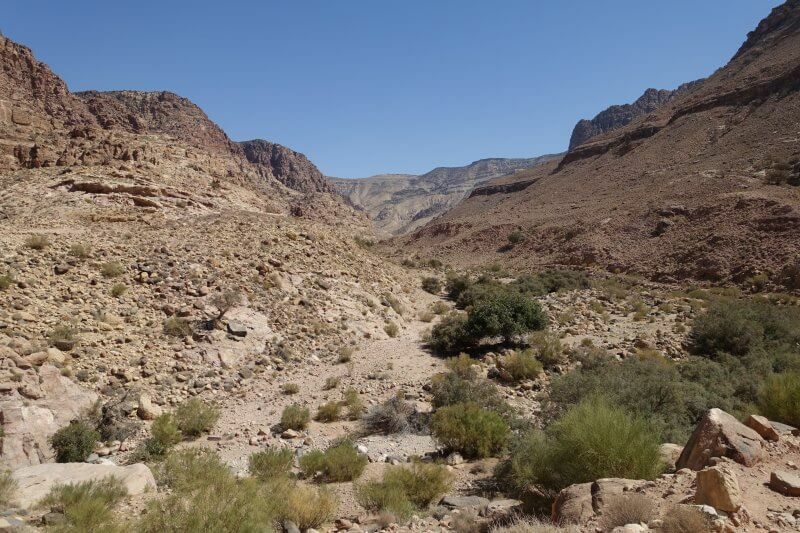 The start of the trail goes steeply downwards to the bottom of Wadi Dana. Getting down wasn’t very easy, having to take every step carefully to maintain balance. Going the other way back up would have been unimaginable. Look at the height of the valley walls 2 images above to get a sense of how much you’ll have to climb coming back up, at probably a 30 degree incline. At the bottom of the valley. Once you’ve conquered the first part of the trail the rest is mostly flat, gently sloping downwards as you follow the contours to the end of the valley. 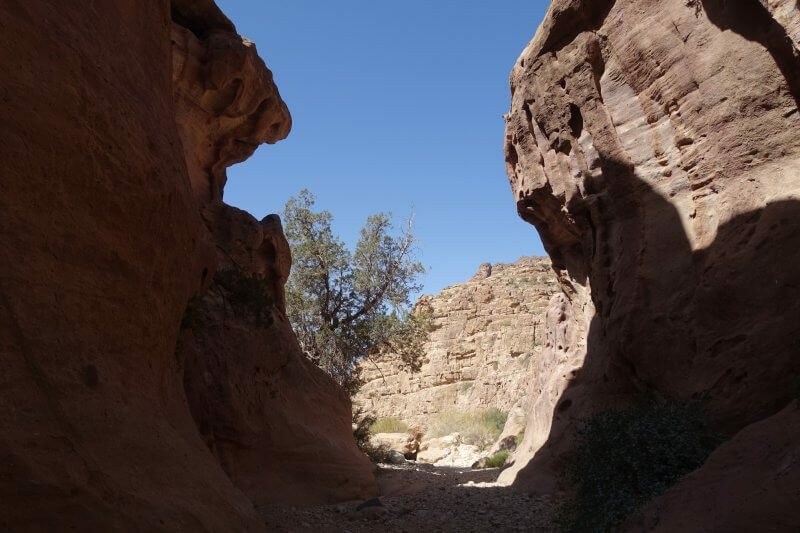 Despite being in an enclosed valley, the scenery is dramatic and ever-changing. If not for the grass it would have been Mars. 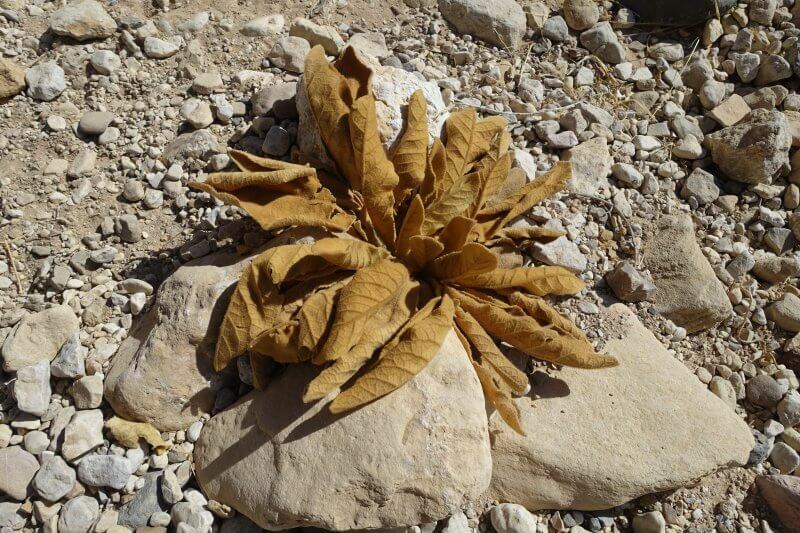 Strange plants grow in this unique climate, like this one with furry leaves which was quite common. Following the dry riverbed (it was dry when I was there in late September) is one way to make sure you’re in the right direction. 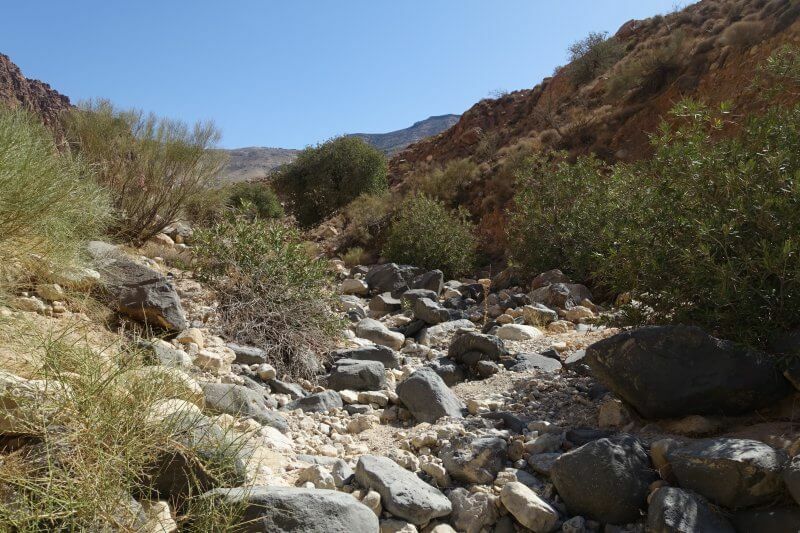 The variety of plants along the riverbed can also provide some much needed respite from the heat. Walking along the riverbed, nature’s own garden. 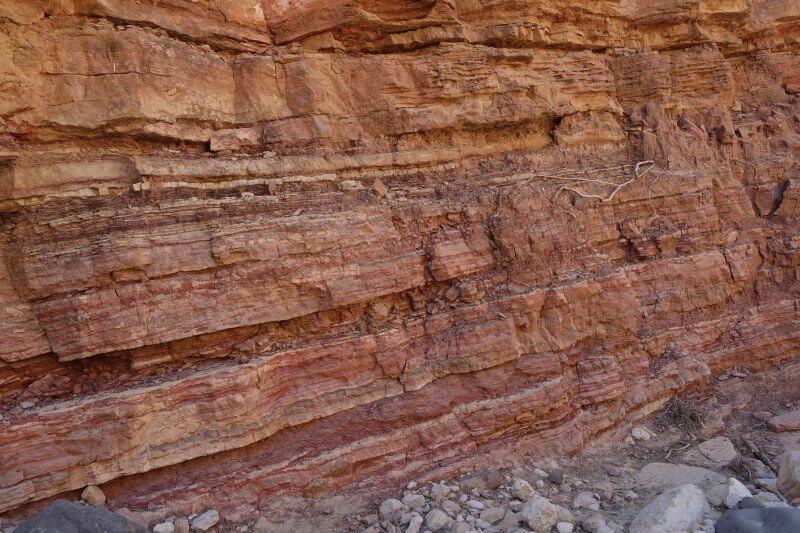 It was really interesting observing the rocks too, as there are clear signs of geological activity, though to the layman as me I can’t read much into it. 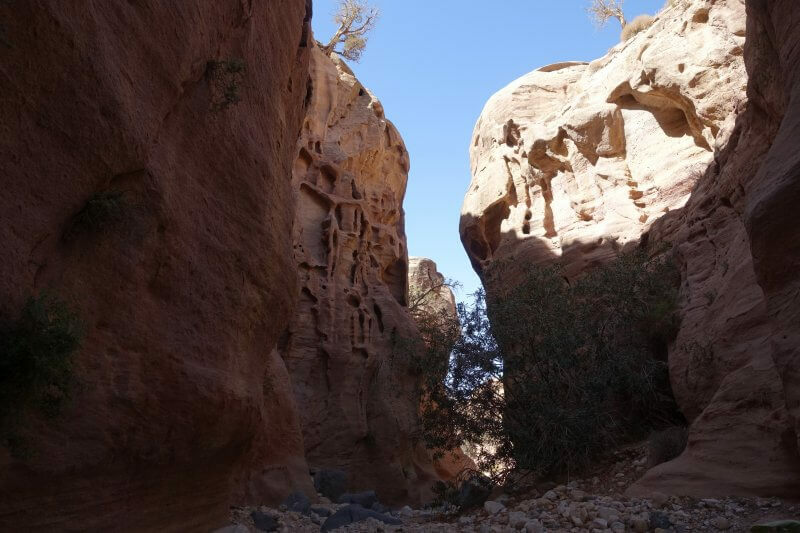 Somewhere along the way, the trail made its way into a narrow gorge, reminiscent of the Siq in Petra, only smaller but more raw. 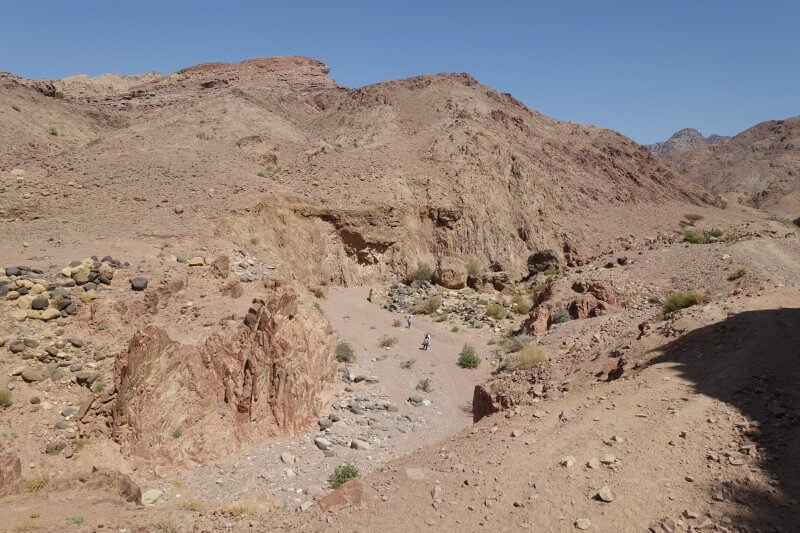 Into the gorge on the Wadi Dana Trail. After some twists and turns we were out in the open again. Desert mountains in the distance. Having been engrossed in the trail and conversation, I hadn’t realised how far we had walked until I looked back. The view towards the start of the trail. 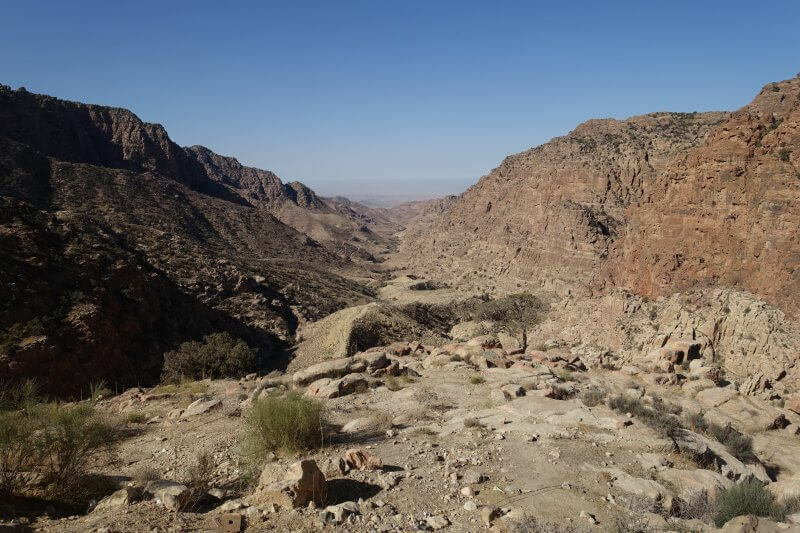 But looking forward towards the end of the valley, Wadi Dana offered landscapes I’ve more often seen associated with America’s national parks. I haven’t been to America nor its national parks, but glad to have seen such a spectacular sight here nonetheless. 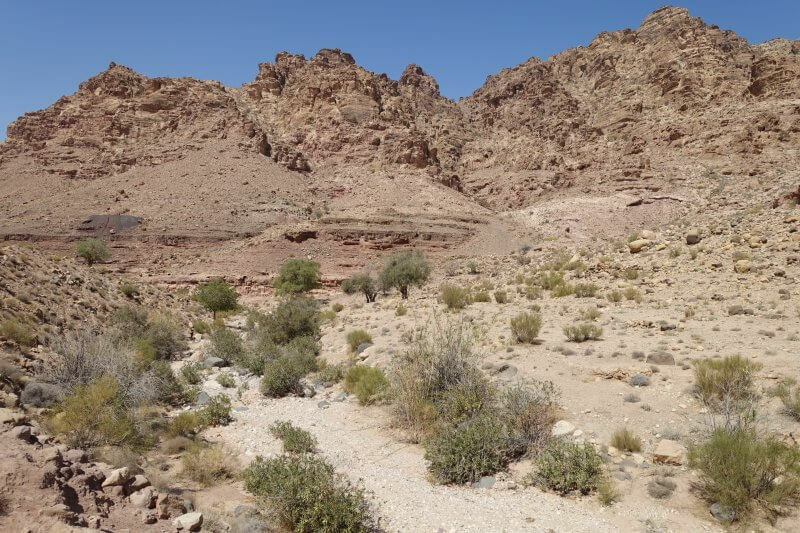 The dramatic desert valley landscape. At some parts it becomes clear where the water flows (when there was water), as hardly anything grows beyond it. Walking by the riverside, sans water. As the trail climbed for one last time, I took the opportunity to take one last shot looking back into the valley. Many hours later, still more stunning views. Hardy mountain goat climbing the steep rocks. While we opted for the path on the side of the riverbed other tourists went with the riverbed itself. Looking into the riverbed from the riverbank. The first man made structure in hours – the gantry to the riverbed. It was almost the end of the trail, but not yet. 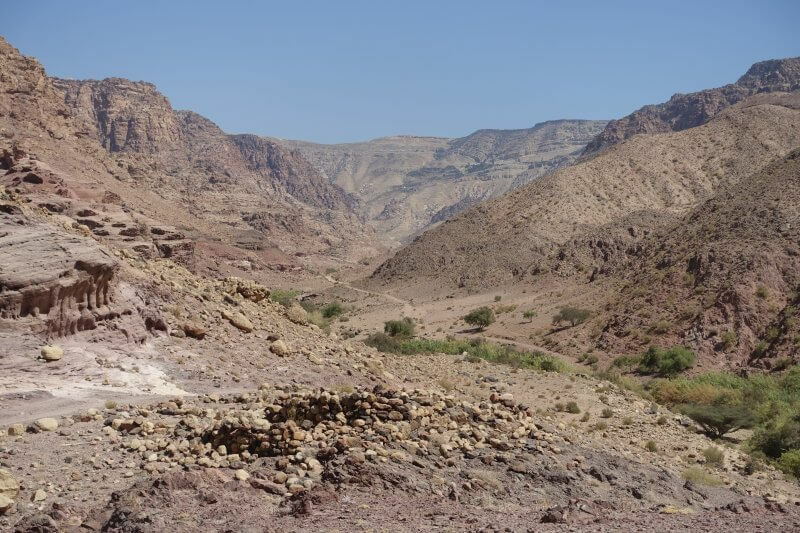 Past the gantry, some Bedouin families have settled down along the river, rearing farm animals. The children were coming back (from school I guess) just as we passed, and they gave us curious but shy looks. We greeted the Bedouin families as we passed and they warmly returned the greeting. 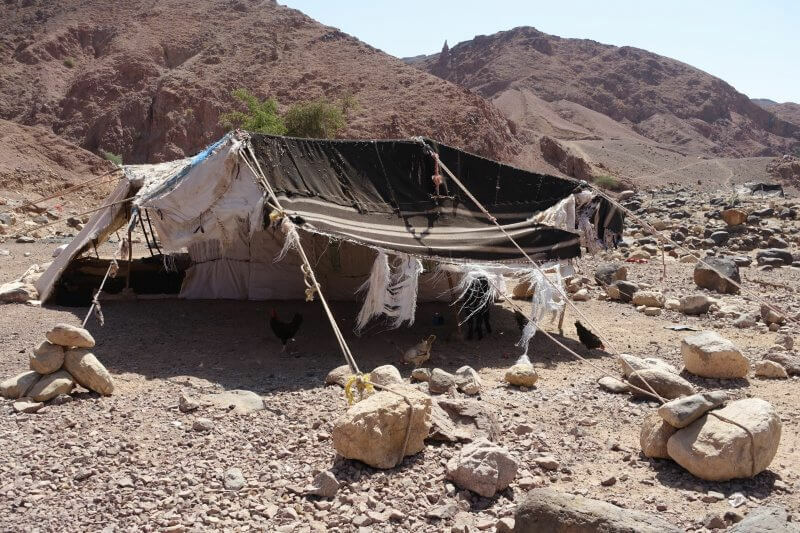 One of the Bedouin tents for the animals. After hours on the trail, we finally spotted Feynan Lodge! As all things go, surprises awaited at the lodge. 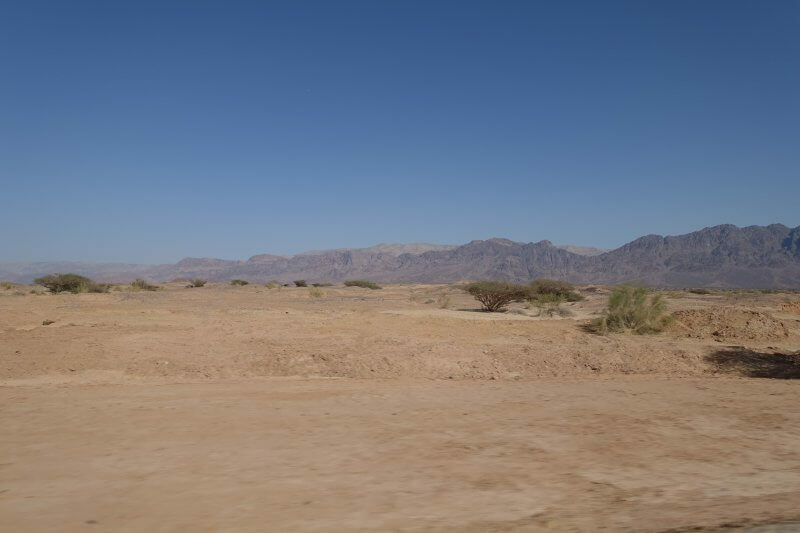 In my opinion requesting for transport at Feynan would be better, The people there look less dodgy and prices are more competitive. You can also choose to wait to see if other hikers are heading down, then share the transport with them. Feynan Lodge (also run by Wild Jordan, as with Dana Guesthouse) is a pretty cool eco lodge to chill at for a few hours, if time allows. Staying overnight here is expensive, though. 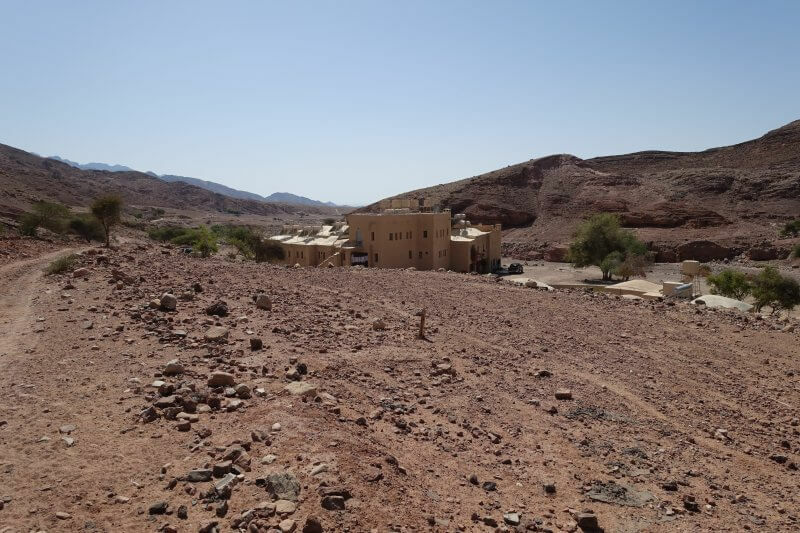 We had intended to make the decision, depending on which was the most economical, when we arrived at Feynan Lodge. However, due to some miscommunication or other reasons, the driver from my hiking buddy’s hotel was already there when we turned up and we didn’t have much of a choice. It would have been nice to chill at the remote ecolodge for a couple of hours or even read a book before heading back, but the driver looked like he was starting to get impatient so we left after having a cold drink at the lodge’s restaurant. Not the most pleasant of experiences but we didn’t want to make things difficult. Remember to make it very clear to your hotel if you want or do want a driver to be at Feynan Lodge waiting for you, if you’ve ever brought it up to them. 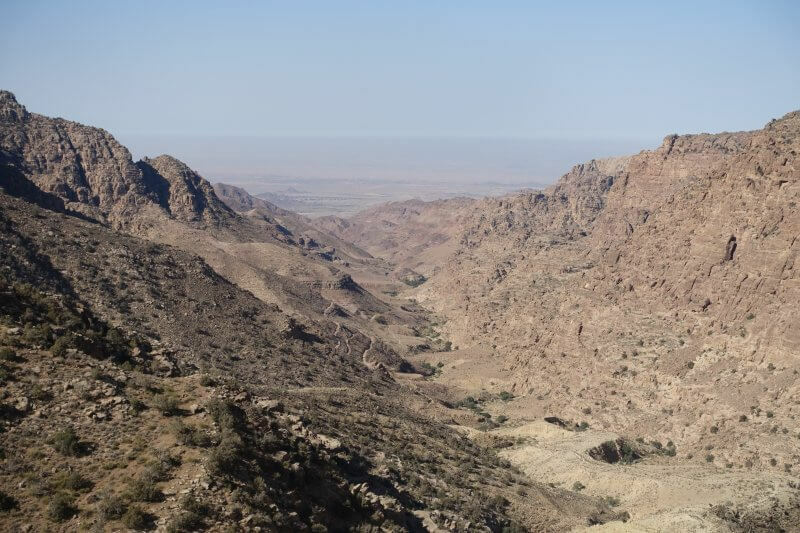 With that set aside, we were soon flying over dirt tracks in Wadi Araba, looking very much like the Africa I’ve seen in wildlife documentaries, without the animals. All worries and angst thrown in the wind. 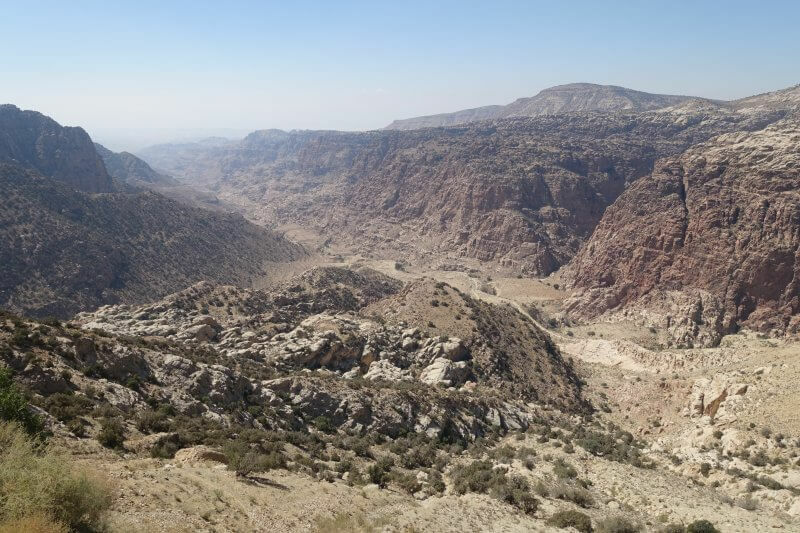 Wadi Araba, the Jordan Rift Valley. At the end of dirt tracks was a village where you can stop to get some refreshments from the convenience store. 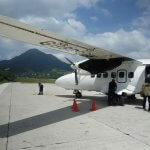 Hold on tight because from there, it is a stomach lurching ride around the mountains to get out of the valley. I couldn’t take any photos along that part of the ride. From the picture below of the road we just came from, taken at a rare straight section, you can see why. Apart from the turns, we had to stop for not chickens, but flocks of sheep to cross the road. 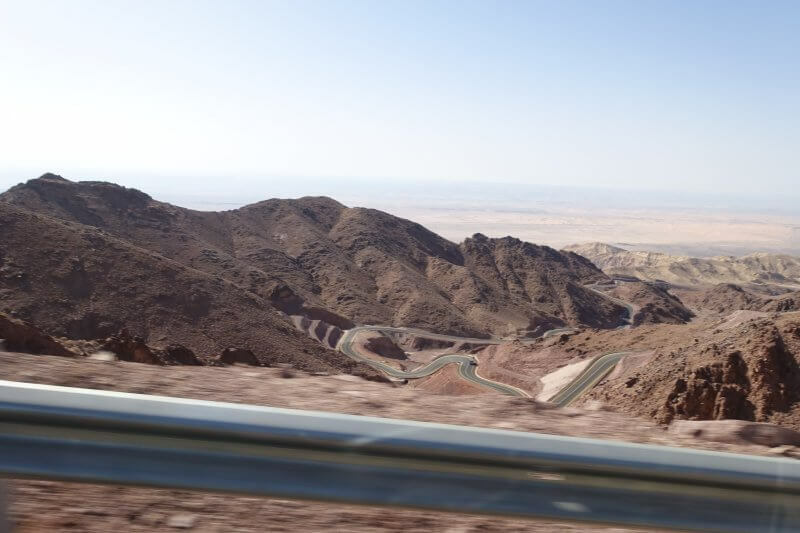 The twisting road to get out of Wadi Araba. After an hour or 2 we were back at Dana Village, half tired from the hike, half tired from the ride back. Hazem, who had made sure that I was always comfortable for the past 2 days, arranged a room upgrade for me to a room with an attached toilet. I guess I was enjoying the bath after the long hike too much that I missed sunset. Sun was gone, but still, a nice way to end of the day, looking down at the entire trail I had just completed hours earlier. Looking around for one last time, I spotted what looked like a neatly maintain garden in the middle of the mountain slopes. Cool! Once again, it was time to move on. 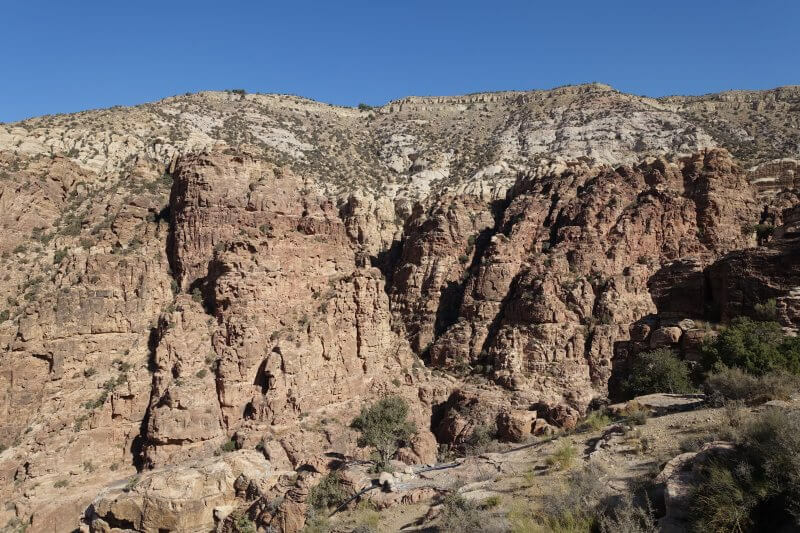 The fleeting moments and friendships are to me as important as the spectacular landscapes I enjoyed in Dana. Looking forward more of such memories to come, though it would be nice if the friendships weren’t as fleeting. 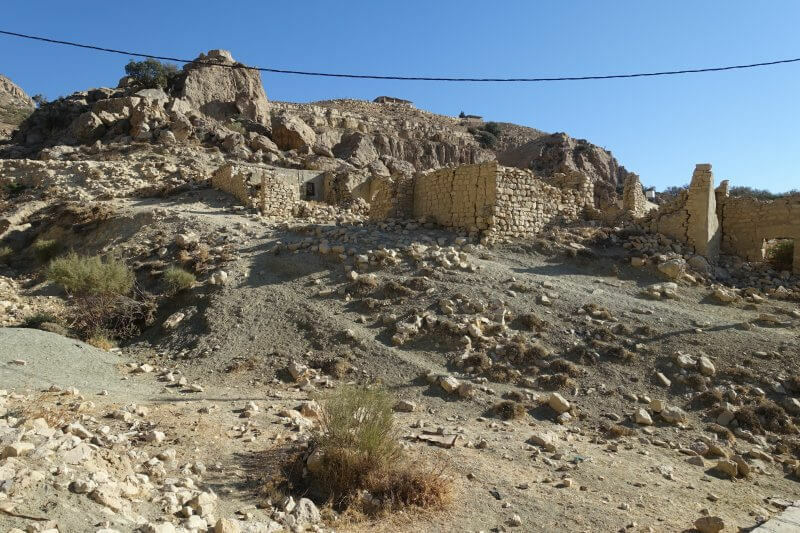 Up next, the desert castles of Shobak and Karak! 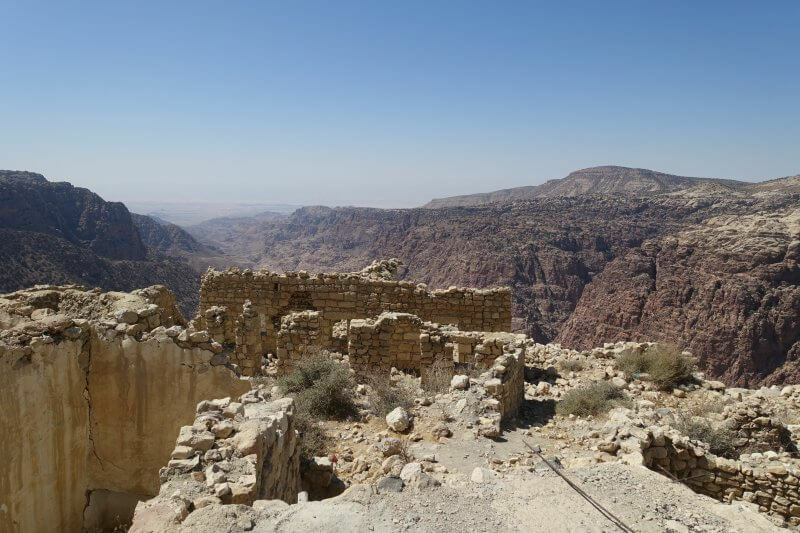 Great post, especially as I’ve just booked my trip to Jordan and will also be staying at the Dana Tower Hotel and plan on hiking the Wadi Dana trail to Feynan. 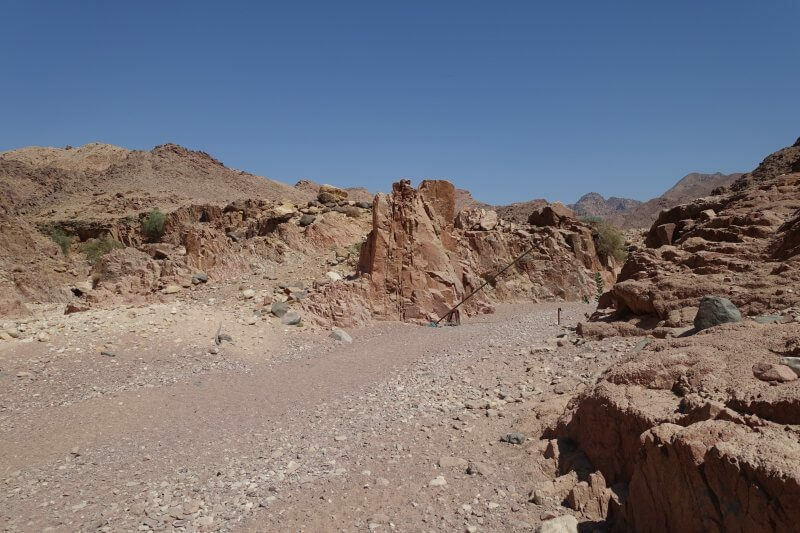 Is it easy to get to the start of the Wadi Dana Trail on foot from the Tower Hotel? 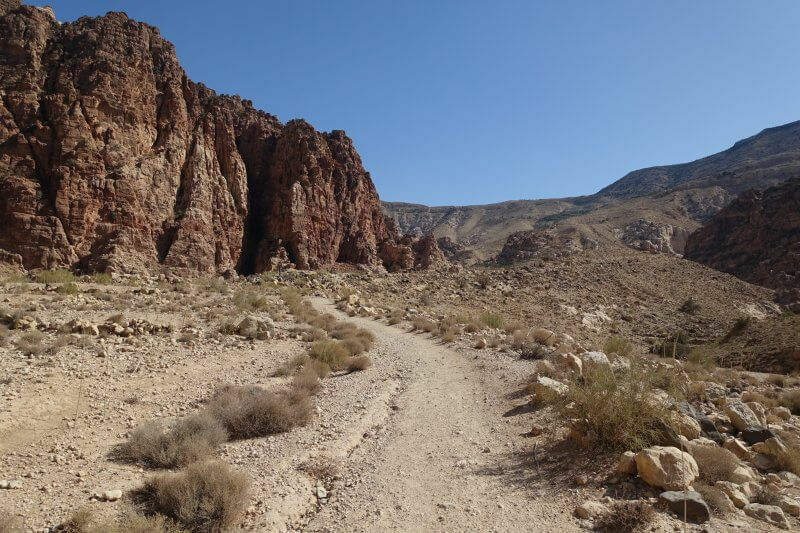 Approximately how long did it take you to hike the trail? Many thanks!